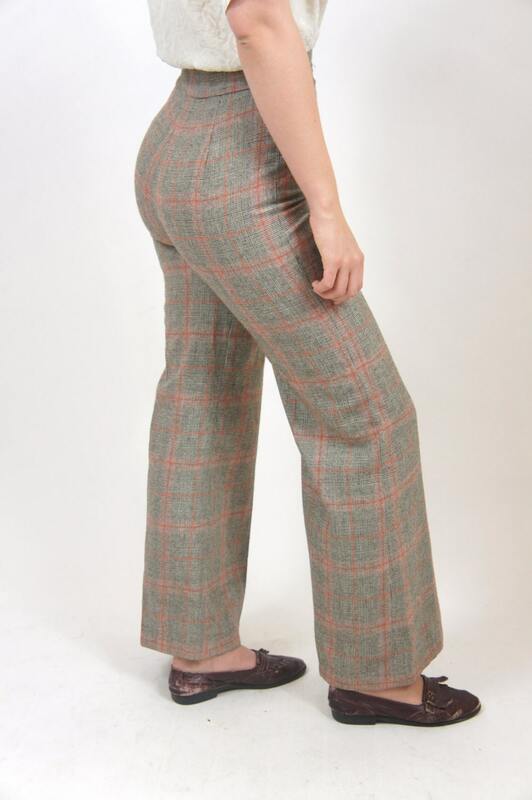 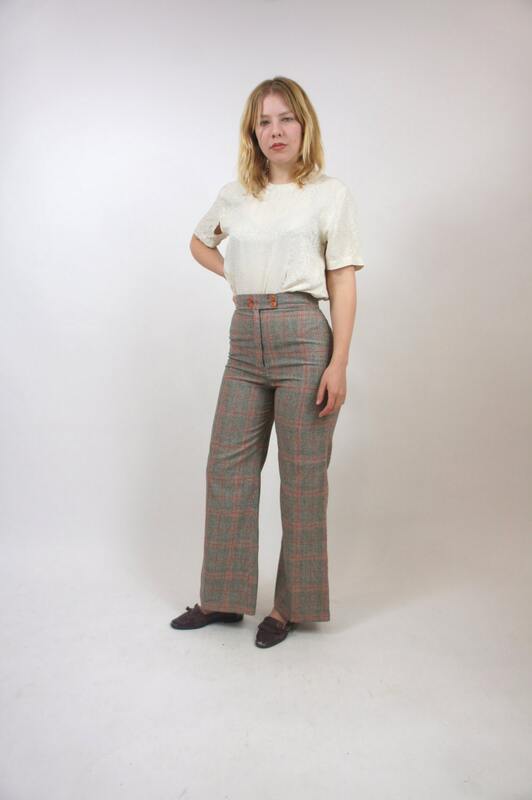 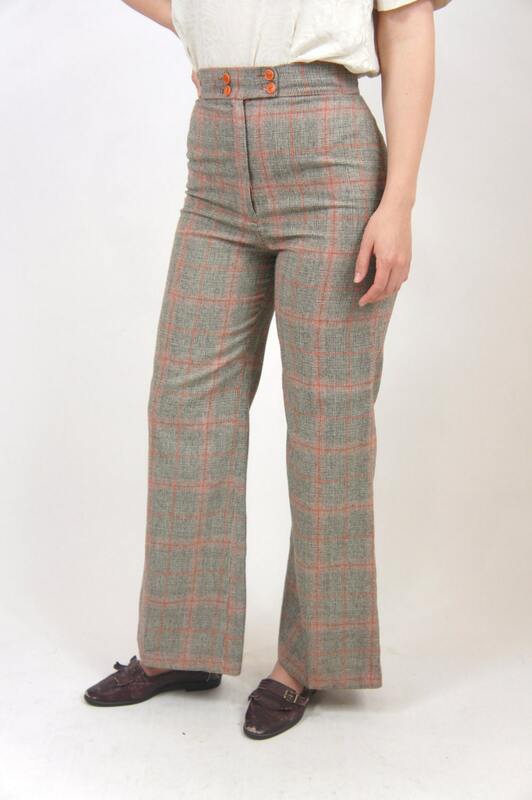 High Waisted Plaid Pants Brown and Orange Women's 4 Button Bell Bottom Bells Waist 28"
Absolutely kill it in these incredible 70s secretary pants. 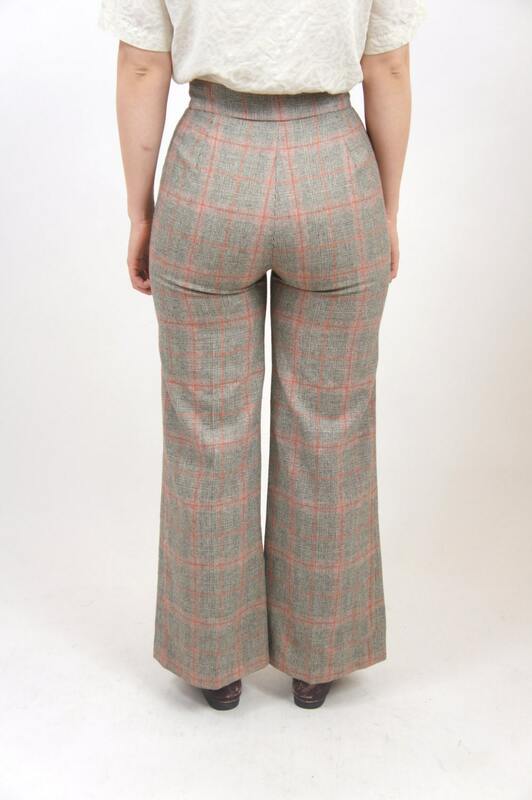 High waisted as all get out with some raging bell bottoms and an awesome easy-to-match-with-anything color scheme and pattern. 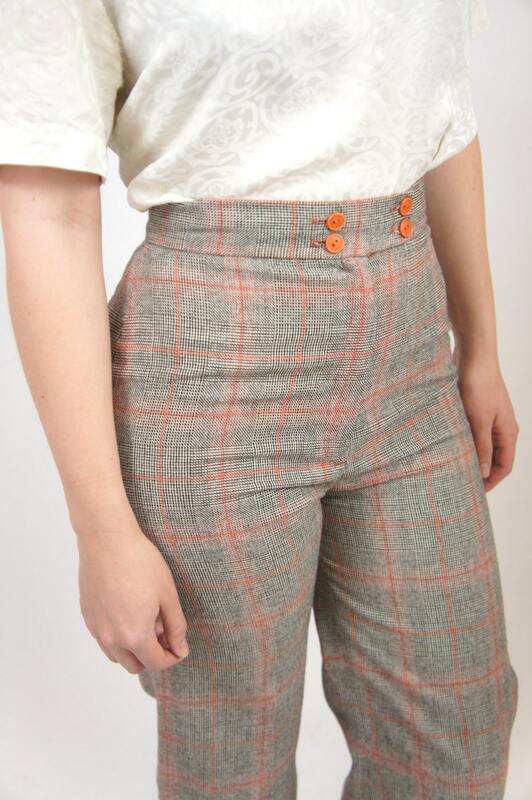 Not often we see a pair like these come through in such great condition.